Minawao — Sixteen-thousand children were registered in schools before 2017, but after the announcement of their possible return to Nigeria, the numbers dropped to 7 000 this year, according to Cameroon's government. Humanitarian officials say conditions for refugee children may worsen if the youngsters continue to avoid school in the Minawao refugee camp. More than half of the thousands of children there either stay home or are involved with child labour. It is a very noisy morning at the Minawao refugee camp in northern Cameroon. Groups of people are making rounds, calling on refugees to keep sending their young children to a formal educational establishment or teenagers to vocational schools to learn a trade that will help them, should they voluntarily return to Nigeria. Sister Gift Slovanska is a Roman Catholic nun who helps the refugees in far northern Cameroon. She says the UNHCR, along with the NGO Plan International, and local non-governmental organizations, churches and traditional rulers, aim to stress the importance of an education for children. She says it is rather unfortunate that in spite of their tours of the refugee camps to tell parents to send their children to school, some still allow their children to serve as household help and child workers in surrounding villages just because they lack food. In March 2017, the governments of Cameroon and Nigeria, alongside the U.N. refugee agency, signed an agreement for the voluntary repatriation of Nigerian refugees living in Cameroon. More than 85,000 refugees who fled the Boko Haram insurgency in northeastern Nigeria are living at the Minawao camp. Elvis Nga Bihina is a spokesperson for traditional leaders who educate the refugees about sending children to school in the northern regions of Cameroon. He says the response has not been very successful this year because some 60 percent of the refugees are anxious to return home. He says the main problem they face is that 80 percent of the population of the Minawao refugee camp is made up of school age children but that a majority of them have been absent from classrooms especially when they started hoping about returning to Nigeria. This month, George Okoth-Obbo, the U.N. refugee agency's assistant high commissioner for operations, visited Minawao and said officials would observe the situation in Nigeria before advising the refugees to voluntarily return home. "It is clear that in those areas in which there are still activities that threaten safety, where people are being attacked, where people are being abducted, where their property is being destroyed, being burned and where there are security operations which are on going to resolve these problems, those are not conditions where people can return," he said. Okoth-Obbo said while waiting, the international community should know that the main goal to strive for is education. A 2016 UNHCR survey conducted in Minawao camp revealed that 71 percent of the refugees intend to return as soon as the situation is conducive to doing so. 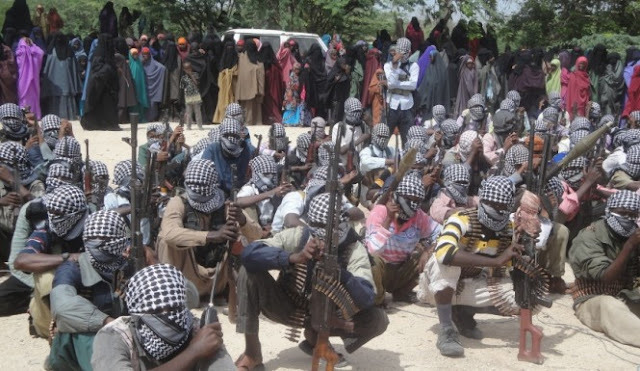 Boko Haram is blamed for about 20 000 deaths since beginning its insurgency in northern Nigeria in 2009. The Islamist extremist group says it wants to create a strict Islamic state in Muslim-majority northern Nigeria.